Use this colour sample to try a few interior paint colour options in your home. Once you've found the perfect colour, choose one of our high quality products and have the colour mixed in to get started. SATISFACTION GUARANTEEDThe manufacturer warrants your complete satisfaction with the performance of this product for as long as you own orreside in your home when our product has been applied and maintained according to label directions. This satisfactionguarantee is non-transferable. The manufacturer does not warrant against problems with the product which are causedby factors beyond its control, such as structural defects, damage to the coating film by others, poor condition of thesubstrate, improper application, etc. If not satisfied as warranted, return the unused portion along with sales receipt toplace of purchase. You will receive as your exclusive remedy either a refund of the price paid for the product or replacementwith product of equal value. This warranty specifically excludes labour or costs of labour for the removal or application ofany coating and indirect, special, consequential, and incidental damages. 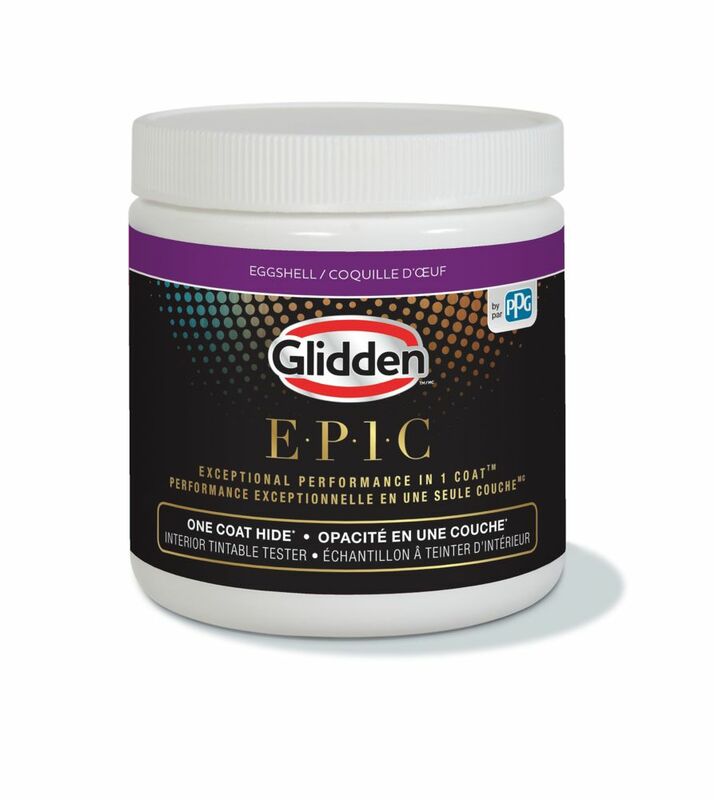 EPIC One Coat Hide Interior Paint + Primer Tester White 229 mL Use this colour sample to try a few interior paint colour options in your home. Once you've found the perfect colour, choose one of our high quality products and have the colour mixed in to get started.